The foundation responds to requests from the mass media regarding coverage and lending images. We also respond to inquiries from the public about production techniques and other topics and provide information on traditional woodcut printing techniques. We lend images of Adachi-edition ukiyo-e print reproductions supervised by the foundation as well as images showing ukiyo-e production processes, tools, etc. The images may be used for various purposes including magazines, television and commercial products. 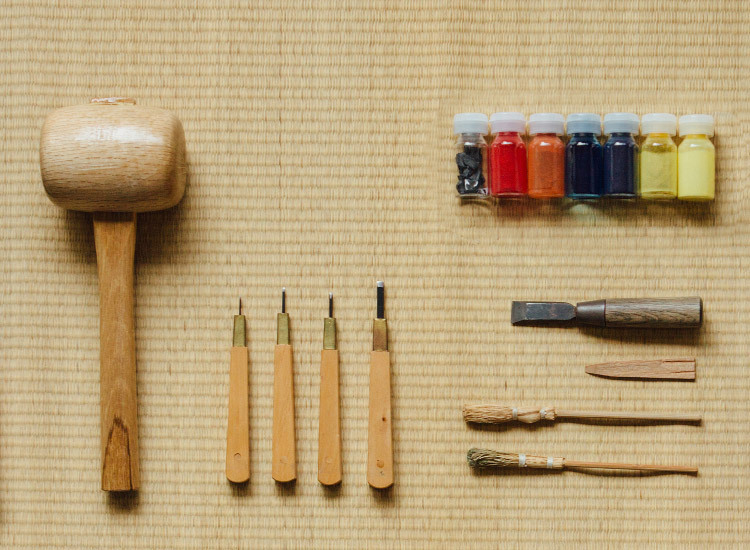 The foundation also lends resources that show how ukiyo-e is produced (tools, materials, production processes, etc.). These are used mainly at ukiyo-e exhibits at museums and other events held at home and abroad.